1.1 When to encrypt your data? 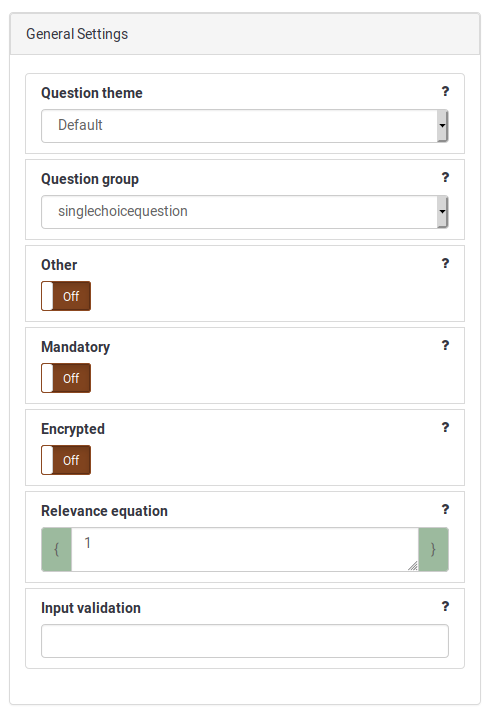 Data encryption is a new feature provided in LimeSurvey 4. It has been created to help survey administrators better cope with the new data-protection regulations adopted in different parts of the world (e.g., GDPR). This feature permits the encryption of personal data located in the central participant database and/or survey participants table. Moreover, you can also encrypt the data you collect from your respondents if the encryption question attribute is enabled. Please note that your data will always be visible in the LimeSurvey interface. Only the database entries get encrypted - nobody that accesses the server where you host LimeSurvey can visualize the respective data. Therefore, please pay attention to whom you provide global and survey permissions. Once you create encryption keys, make sure to create backups. If you lose the keys, the data will become unusable since it cannot be recovered any longer. If you use LimeSurvey CE, the public and secret keys can be found in /application/config/security.php. When to encrypt your data? Most of the time, it is important to encrypt personally identifiable data (e.g., as it is recommended in the General Data Protection Regulation). Therefore, fields such as first name, last name, email address, phone number, address, and so on can be used to identify the responses one person submitted. In other cases, the data that should be encrypted does not necessarily stop at the examples provided above. In certain scenarios (e.g., in medical research), you might need to encrypt most of your data if you can track back the responses to the person who submitted them. As a result, please adapt your survey and the data collection to the local legislation! Question attribute "Encrypted" is used to enable data encryption for corresponding responses. This attribute is turned off by default. Once survey is activated, it is not possible to change this attribute. Three core attributes (firstname, lastname, and email) are always shown in the survey participants table, the encryption being turned on by default. Each new participant attribute will have encryption turned off by default. Encryption can be turned on or off at any moment. Three core attributes (firstname, lastname and email) are always shown in the central participant database, the encryption being turned on by default. Sodium library is used to provide data encryption and decryption functionality for LimeSurvey. Sodium is a modern, easy-to-use software library for encryption, decryption, signatures, password hashing and more. It is a portable, cross-compilable, installable, packageable fork of NaCl, with a compatible API, and an extended API to improve usability even further. Its goal is to provide all of the core operations needed to build higher-level cryptographic tools. LimeSurvey uses the Sodium Compat library to bridge with different PHP versions. This library tentatively supports PHP 5.2.4 - 7.x (latest), but officially it only supports non-EOL'd versions of PHP. Data encryption/decryption methods used in LimeSurvey are based on public-key signatures. Public and secret keys can be found in /application/config/security.php file. Keys are automatically generated on first usage of encryption feature. Warning : Once data encryption is turned on, data in corresponding database columns would become unreadable without decrypting them first. You should always have a backup of your encryption keys in case they get deleted. Also, once encryption keys are set, you should never change them because it would make all existing data unusable. Partial string search won't be possible for database columns with encrypted data, only exact match search. library doesn't exists: PHP Sodium library have to be installed to be able to use data encryption feature. Here is a guide on how to install library: Sodium installation. If you don't want to use data encryption, you have to disable encryption in attribute settings. wrong decryption key: decryption key has changed since data was last saved, so data can't be decrypted. The only way to decrypt data is to retrieve the original key from backup and replace the current decryption key with the original key.